Some of our keen mathematicians at The Grammar School at Leeds (GSAL) can’t get enough of their favourite subject, opting to test their knowledge in the challenges set by the United Kingdom Mathematics Trust (UKMT). First up was the Mathematical Olympiad for Girls, for pupils in Y11 and above. Not for the faint-hearted, it consists of a two and a half hour paper aimed at the highest achieving female mathematicians. Only 1,400 nationwide tackle this paper, and Jenni Greenfield Y13 gained an impressive mark of 40, well above the 27 mark threshold for distinction, to qualify automatically for the national Olympiad round. Next was the Senior Mathematical Challenge, taken by 76 GSAL students in Y10 and above. As well as stimulating students’ mathematical problem solving the challenge is a stepping stone to the follow on rounds for the highest achievers. An impressive 11 GSAL candidates made the grade for the Kangaroo round, to take place at the end of November. As well as the individual maths challenges the UKMT run team challenges and GSAL fielded a team at the regional final of the Senior Team Maths Challenge for Y11 and above. 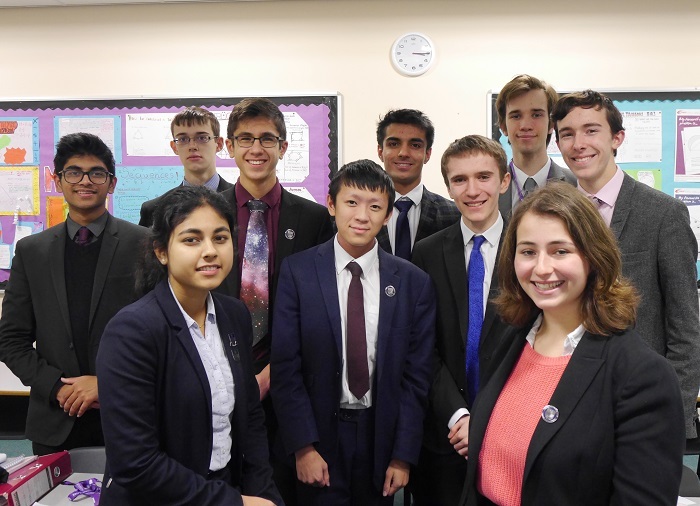 In the competition at the University of Leeds, the team dropped only 20 marks out of a possible 160 in a tight contest to finish third out of 23 schools. Congratulations to Ted Borland Y12, Zac Tobias Y12, George Foster Y13 and Jenni Greenfield Y13. Two of our younger mathematicians, Oluwaseyitan Olusoga and Katya Rawat, both Y9, have earned a significant accolade, with an invitation to the prestigious Royal Institution Mathematics Masterclass at the University of Leeds. This is a six-week course covering topics outside the normal school curriculum to stretch pupils who show exceptional flair and commitment in maths.